There’s a funny thing about time travel that most people don’t take into account. When you travel back in time, or forward, it’s not guaranteed that you’ll end up in the same place. Physically. It is a constant danger when travelling forward or back. You might end up on the other side of the city, continent, planet, or (let hope never) it might leave you floating in space. So always remember to make sure your time travelling vehicle is sealed (or at least that the windows can roll up), bring an extra pair of socks (you never know), and your towel (The Guide got that correct). In order of importance, we have a few major tidbits of news to give you. We have had to change dates. What The Fur will now be held on the weekend of the 22-24 of May 2015. We understand that this might cause issues for some people, and we apologise for this. But the change in dates being us to the second piece of news. If this directly impacts anyone who has already registered, we ask you to please contact our Registration department as soon as you can. In 2014 we moved from the downtown area of Montréal to the West Island area following the closure of our home at the time, the Delta Centre-Ville. We made this tough decision because in the next few years, major changes to the highway interchanges will make it nearly impossible to get around the centre of the city – and any local can tell you how hard it already is to get around downtown. We did not want to put any of you through this nightmare. Moving to the West Island was seen as a great opportunity to find a new home for What The Fur. Although the Sheraton was a very nice hotel, we listened to you, the attendees, and understood that the area was not up to the standards that you had come to expect. We heard you loud and clear; your message was strong and we have taken decisions accordingly. Once again, What The Fur will be moving. Yes, we know, nobody likes moving hotels, but we're moving to a location that will give you most, if not everything you asked for out of the convention's hotel. We are moving to the Holiday Inn Pointe-Claire. The hotel, still in the West Island, is situated south on Highway 40, right across from one of the biggest super regional shopping malls on the island of Montreal, the Fairview Pointe-Claire Mall, as well as surrounded by plenty of restaurants for all budgets and tastes and stores for any needs you might have. And most of which are within walking distance! And to top it off, parking is free! Early Bird pre-registration is still going on! 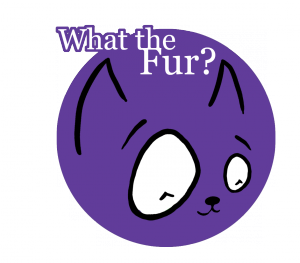 We are pleased to announce that registration for What The Fur 2013 is now officially open! Our Early Bird registration rates will be available from now until November 31st. On December 1st, the prices will change. Visit our Registration Page for details, and for the link to register for the convention. All memberships are available! Regular, Sponsor, our new Patron level (which includes a meal in the Tour de Ville restaurant), and even our extremely-limited Lifetime Membership levels are all open! And Dealers, you can also now register for your tables! Okay folks, the time is now. ...Well, that last one isn't necessary. Join our team, the Furries & Fuzzies, at the Walk so Kids Can Talk on Sunday, May 6. Register and join the team online using the link below. It’s free and only takes a few minutes. Let's show them what Furries can do. Once you’re registered, you can invite your friends, family and co-workers to pledge you online. The pledges you raise will help support children and youth mental health and well-being by ensuring professional counsellors are available 24/7/365 to every kid in need, no matter the issue or the concern. The pledges also help you earn great incentive prizes. Not in Montreal? No worries! The walk is being held in many cities across Canada. Join the walk locally! And, weather permitting, it's a great opportunity (and excuse) to go fursuiting! Visit http://www.walksokidscantalk.ca for more information. Let's help those who need it most. As the convention creeps closer, some of us think of some important things. Things such as “Do I need to pack that sketchbook?”, “Did I set the alarm before laying down?” or “Do I need that extra pair of underwear?” But the sad reality is, most of us forget that sketchbook (and yes, even the underwear) now and then. One thing that also gets forgotten is making sure you have a place to stay for your visit. For those of you coming in from out of town, the Hotel Espresso is still offering us a room rate of $110 CDN per night, but the deal isn’t without its end date. The deal ends on May 6th! So if you haven’t made your arrangements with the hotel for a room yet, get on it! The room rate is available for anyone staying at the hotel from May 31st to June 4th, so you can even spend an extra day checking out the sights! Just be sure to mention you’re going to What The Fur when you call the hotel to reserve your room (that would be -514-938-4611 or 1-877-468-3550). Sadly, getting the good rate on the rooms isn’t available online, but if you call, the people working at the main desk of the hotel know us and love us. If you’re looking for someone to share a room with, we have our forums available on the website, and there is also our Livejournal or Dreamwidth groups for sending requests. Just 8 more weeks until the creatures of the night come out of hiding! Oh, and don’t forget the underwear. ::Waves:: been a while since I posted, but this time round I'm looking to connect with other fur's in the Toronto area and ideally with those who have experience in making Fursuits. I'm trying to make for my husband his first suit, and well the body is easy enough the paws I think I have a good handle on as well as the tail, but the issue is building a Husky head. We really do not have the funds to have one commissioned thus I'm trying to make it on my own got plenty of urls and ideas but sighs having only ever seen in person a finished head I'm having issues getting my own head around on how to build one for him. Part of me says make another paper mashie one, like I did for my own wolf head years ago but that one walked at an event I was at and I never saw it again. But I also know that paper mashe really isn't the best form to use for making a good head, from what I gather carving form is the best option (yes no?). If anyone here is in the Toronto area and if willing to help, please leave me a message, even if its for more URLs or tutorials on how to its all greatly appreciated. I am on the fursuit group here on LJ, but sighs its still a little confusing to me. Happily, you no longer have to count the time until What The Fur in Months. Weeks don’t work either. We’re now down to days. 10 full days to be exact. And it is promising to be a fast 10 days. We know you want to come to What The Fur. We know you’ve been waiting anxiously for it. And we’ve been working hard to make sure that you, our guests, will have more to do than you have time to do it in. What have we got in store for you now? -Registration will open at 2:30 PM on Friday. We ask that all those who have preregistered for the convention have their confirmation code and/or email confirmation with them to help speed up your registration experience. -Registration rates: $40 weekend pass, $90 Sponsor, $20 Child (under 15). Day pass rates are available as well, on our website. Upgrading your membership will only cost the difference between the levels. -Any and all donations that are collected for the charity, whether in the buckets available around the convention or in the charity auction itself will be donated to the St. Lawrence Valley Natural History Ecomuseum. We're getting down to the wire now, and the secrets are slowly being revealed! Just remember that you have until this Thursday (May 6th) at midnight to pre-register for What The Fur at the nice rate of only $35! And so long as you register, you can pay at the door, keeping your rate locked in! So if you're coming, pre-register! The schedules are starting to be posted, so keep your eyes peeled. The room times for the Dealers and Art Show are up, as well as the Games room (which opens, but will never close). And we need your input for our Iron Artist competition! So visit our forums and let us know what you think! I've created a team for us furs to join. It's called, and I know the name is VERY CLEVER: Canadian Furry Fandom Canadien.